FixonRoad.com™ is reporting that The Federal Motor Carrier Safety Administration (FMCSA) is currently in the process of proposing seven changes in the current regulations regarding truck driver hours of service rules. Drivers of tractor trailers, big rigs, 18 wheelers, heavy haulers, freightliners, RVs, reefers, buses and many other vehicles stand to be effected by the changes. The changes to the truck driving laws are for the purpose of giving drivers the flexibility to take a break during the day. This should reduce the health and safety risks of truck drivers due to long hours of work. * Lowering the number of daily driving time to 10 hours from 11 hours. * Truck drivers would need to be released from duty after 14 consecutive hours of truck driving. All drivers would have the choice of taking two 16-hour shifts per week. * Truck drivers would get a 1 hour break during the day. * Limiting the number of consecutive hours behind the wheel by prohibiting a truck driver from driving if it has been more than 7 hours since the last off duty period. * Modifications to the 34-hour restart that would have to include 2 periods between midnight and 6 am that could be used only once each week. As expected the American Trucking Associations’ reaction was negative. They feel that the proposed changes would substantially reduce trucking’s productivity. Hopefully both sides will work together to ensure the safety of truck drivers and all others on the road. Truck Drivers should be able to get off the road when they are tired and should be encouraged to do so. This would not only promote safety for truck drivers, but for all drivers on the whole. It will be interesting to see whether or not these truck driver safety laws go into effect. In the meantime, be sure to contact FixonRoad.com™ by visiting us on the web or calling us at 800-208-6364. Our directory of truck tire service specialists and emergency roadside assistance is ready and waiting to help you get back on the road as soon as possible. Trucks have many parts. Depending on the type of the truck, parts can differ greatly. When it comes to servicing trucks, it is important to have a general understanding of specific truck parts and how they relate to the operation and use of the corresponding trucks. Here is a diagram labeling common truck parts. Exhaust stack: truck part that is a pipe that expels smoke. Marker light: truck lights that indicate the form and dimension of a vehicle. Hood: cover opening from the body, situated at the front of a truck, over the motor. Bumper: device at the front of the truck that protects the body from minor shocks. Semitrailer: motorless wheeled vehicle meant to be towed. Truck tractor: motorized wheeled vehicle for towing other vehicles. Fender: part at the side of the body of the truck that covers the wheels. Door mirror: mirror used for looking backwards. Siren: truck part that that produces a powerful sound signal. Wind deflector: apparatus that changes the airflow around a truck. A lowboy refers to a semi-trailer that has two drops in the deck height. One drop is present right after the gooseneck and the other drop comes right before the wheels. 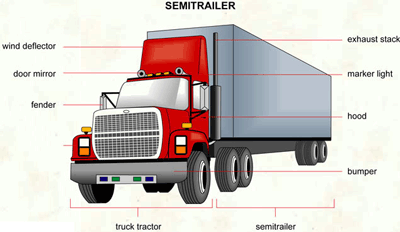 A semi-trailer truck can be also known as a semi or tractor-trailer. Did you know that a semi-trailer truck is known as an articulated truck or articulated lorry in Ireland and the United Kingdom? In Australia, it is known as a prime mover. Do you know what they call it in Canada and New Zealand? A truck! You didn’t need to have a passport to know that! Trailers are what carry the freight. The difference is that a semi-trailer does not trail completely behind the towing vehicle. Instead it is attached at a point that is forward of the rear-most axle of the towing unit. This allows some fraction of the weight of the trailer to be carried by the rear axles of the prime mover. This configuration requires that both the tractor and semi-trailer are distinct in design from a rigid truck and trailer combination. 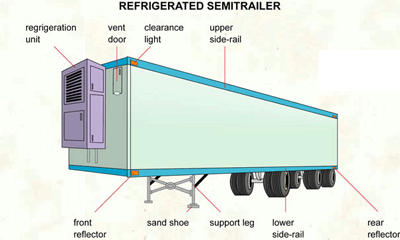 Synonyms for semi-trailer trucks include trucks and trailers, transfer trucks, 18-wheelers, semis, big rigs, and transports. Freightliner Trucks actually refer to the brand name of a manufacturer of heavy duty trucks, chassis and semi-trailer trucks in the United States. Freightliners have become synonymous with trucks that carry cargo. A lowboy refers to a semi-trailer that has two drops in the deck height. One drop is present right after the gooseneck and the other drop comes right before the wheels. This setup allows the deck to be extremely low to the ground as opposed to traditional trailers. Low boys offer the ability to carry legal taller loads that other trailers cannot. Mobile Tire Services: Are Nitrogen Inflated Truck Tires The Future of Mobile Tire Services? 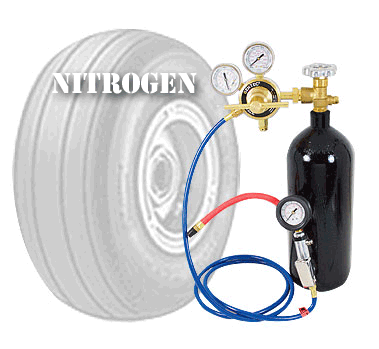 Don't be surprised if the next time your truck needs mobile tire service if they use nitrogen to inflate the tires. Imagine being stuck on the side of the road with a flat tire. Now imagine, you have more than one blowout – or imagine that you need roadside assistance. Mobile Tire Service is extremely important – especially when it comes to Semis, trucks, big rigs, 18 wheelers, buses, freightliners, tractor trailers, low boys and reefers. A new concept is being discussed in the world of trucking – pure nitrogen may replace air as a superior medium for inflating tires. First, before you think it sounds crazy – don’t worry – you’re not putting anything new into your tires. Nitrogen is already in the air that is put into your tires. Currently air is about 78% nitrogen already. The air that is put into tires is approximately 21% oxygen and 1% trace elements. Nitrogen generators used in tire inflation systems don’t manufacture nitrogen – but instead they remove oxygen from the air leaving approximately 95% – 98% nitrogen to fill the tires. The most important benefit to nitrogen tire inflation is that it reduces natural pressure loss in tires. Nitrogen molecules are larger than oxygen molecules and this permeate tires more slowly. Pure nitrogen contains almost no moisture which eliminates the chances of water accumulating inside tires. Moisture in tires can corrode steel wheels, freeze tire valves and cause oxidation. More and more fleets of trucks, tractor trailers, buses, freightliners, low boys and reefers are switching over to nitrogen filled tires in an attempt to maintain their trucks more efficiently. Posted in Mobile Tire Services, Truck News, Truck Technology | Comments Off on Mobile Tire Services: Are Nitrogen Inflated Truck Tires The Future of Mobile Tire Services? 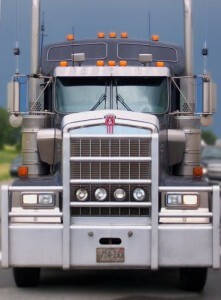 Recently, a FixonRoad.com™ blog entry focused on the fact that tractor trailer and body makers have been concentrating on trucking industry research and development. The lift axle is also set to automatically raise or deploy depending on the weight of the trailer’s load. One such advancement in the trucking industry is the lift axle. A sensor-activated lift axle can be mounted at the forward position of an aluminum trailer to reduce stress on its haul. The lift axle is also set to automatically raise or deploy depending on the weight of the trailer’s load. This reduces tire scuffing and increases the life of the tire while lengthening the time between tire service. A new innovation in the trucking world is the Equalizer. 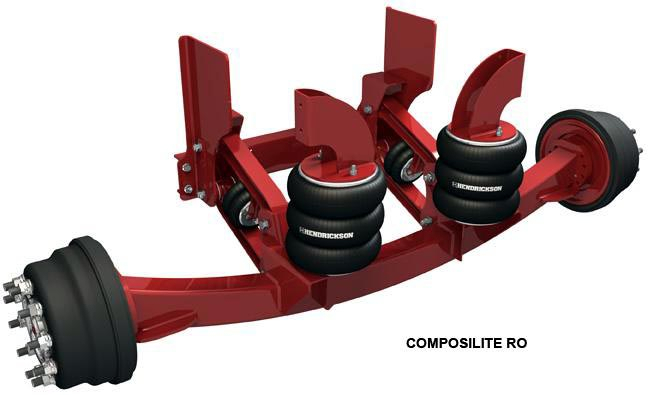 It is a nitrogen-assisted weight-transfer system utilized in spread axle trailers. 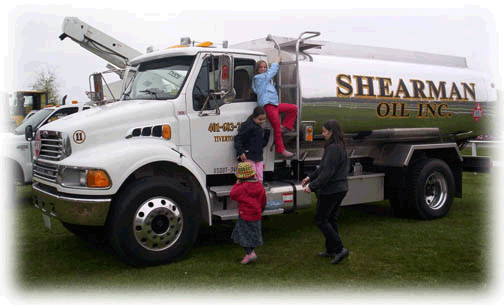 By transferring truck loads hydraulically, it softens road shock resulting in a smoother ride. 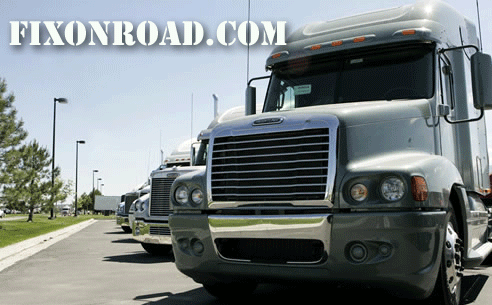 A smoother ride means less truck repair services are needed. High center obstructions can cause truck collision damage resulting in higher and more frequent truck repair bills and services. Tough side skirts have been known to lower fuel costs and resist collision damage to trucks. Galvanized steel along with UV-protected fiberglass-reinforced plastic panels are corrosion resistant and flexible. These features are sure to result in a decrease in the need for truck repair services. 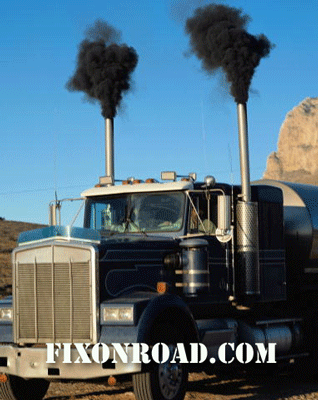 FixonRoad.com™ reports that the American Trucking Associations is opposed to the FREIGHT Act of 2010. If passed, the new Senate legislation would set a national freight transportation policy that would make highways ineligible for funding outside of limited connectors to freight terminals. Improving the freightliner industry should mean reducing the need for truck repair services and creating a safer environment for drivers of tractor trailers, semi-trucks, 18 wheelers, and freightliners. 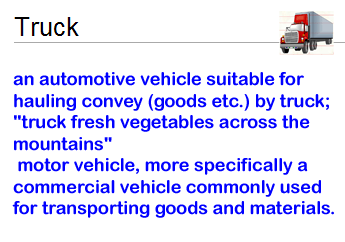 This is an approach that fails to improves trucking / freightliner transportation or for that matter the economy of the trucking industry in general. The trucking bill was introduced by Senator Frank Lautenberg of New Jersey. Lautenberg is the chairman of the Surface Transportation Subcommittee of the Senate Commerce Committee. This Committee regulates much of the activity of freightliner transportation in the United States. The FREIGHT Act of 2010 aims to give the country an official freight policy for the first time in our nation’s history. The goal of the act is to improve the efficiency, operation, and security of the national transportation system to move freight. 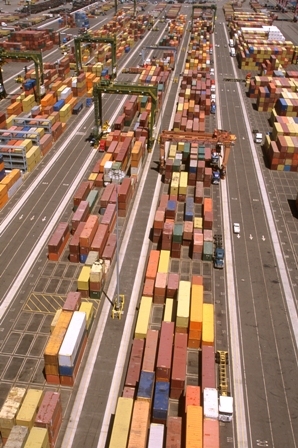 Part of the freight bill is to provide a framework for freight investment and planning. Another measure of the freight bill is to set goals centered on reducing delays at international points of entry. In addition, the freight bill aims to make transit times along freight corridors more reliable, while improving safety and reducing air pollution. The ATA appreciates the fact that the Senate considers freight transportation an area of importance. However, the ATA feels that the legislation does not fix the highway funding crisis. It remains to see whether or not the freightliner legislation will pass through the Sentate.